The smell of CBD oil can best be described as freshly sawn wood from the forest, and that is also what it tastes like. It is a somewhat bitter taste that reminds of fresh wood and, to some extent, forest soil. CBD oil can leave a burning sensation on the throat, but this usually disappears quite quickly after drinking a glass of water. We can’t say: CBD oil tastes bad or CBD oil tastes good. After all, taste perception can vary strongly between people. I personally do not find the taste of CBD oil unpleasant. The taste reminds me of my youth. When I was young, I would often walk through the forest with my parents. We would sometimes also pass the sawmill. CBD oil tastes just like that place smelt. Especially for this article, I had my wife taste CBD oil. My wife grew up in the big city and has never been to a sawmill. She experienced the smell and taste of CBD oil as rather unpleasant. The woody taste did not appeal to her. She did have to admit that the texture of CBD oil is very smooth. My wife also pointed out that the CBD oil gave her a bit of a burning sensation in the throat. And she is right. Normally, the burning sensation quickly goes away, but with a sore throat, it can further irritate the throat. That is my experience, at least. 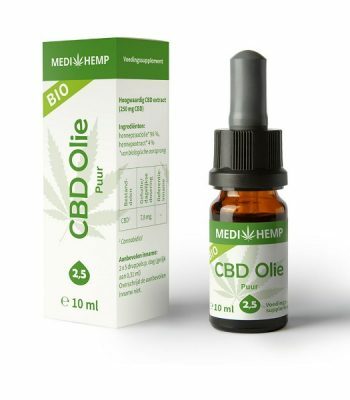 Now there are producers who try to mask the somewhat bitter taste of CBD oil by adding an additional flavour. The brand Dutch Natural Healing, for instance, sells CBD oil with an added mint or lemon flavour. My wife and I tasted this CBD oil with flavouring and thought it tasted better than regular CBD oil. An even better alternative is water-soluble CBD. Mixed with just water, water-soluble CBD tastes the same as regular CBD oil, but due to the water, the flavour is a bit less strong. However, if you mix the water-soluble CBD with tea, then the smell of CBD is still there, but when you drink, that woody taste has been fully pushed to the background. If you also add honey to the tea, you do not notice the CBD anymore at all. Both the smell and the taste are now completely gone. Of course, you can also mix water-soluble CBD with other beverages. For instance, it appears that orange juice makes for a very good combination as well. You do not smell or taste the CBD at all. Finally, we briefly address the difference in taste between CBD oil Pure and CBD oil RAW here. After all, in addition to cannabidiol (CBD), CBD oil RAW also contains other substances from the cannabis plant such as CBC, CBG and various flavonoids, terpenes and phenols. You would expect these additional substances to affect the taste of the CBD oil, and some people claim they do. They say CBD oil RAW has a slightly sharper taste than CBD oil Pure. I personally do not taste much difference between CBD oil Pure and CBD oil RAW. The same goes for my wife. Ultimately, to know whether you like CBD oil or not is a matter of trying it out. If you find the taste of CBD oil unpleasant, it is best to use water-soluble CBD. By mixing the water-soluble CBD with tea, orange juice or another beverage, you will hardly notice the taste and smell of CBD, if at all.